Catatan Ga Penting Yang Penting: Boing! Boing! Jump! What I want to review here is Cordy Sky... Do you know Doodle Jump? Pepe Up? Cordy Sky is similar like them. This app was released at March, 2012. 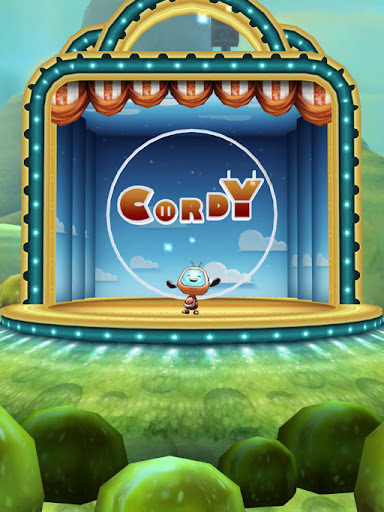 This app tells about Cordy who wants to jump to his plane for go to planet 2. All you need to do just keep Cordy jump as high as u can. There's three way to play this game. 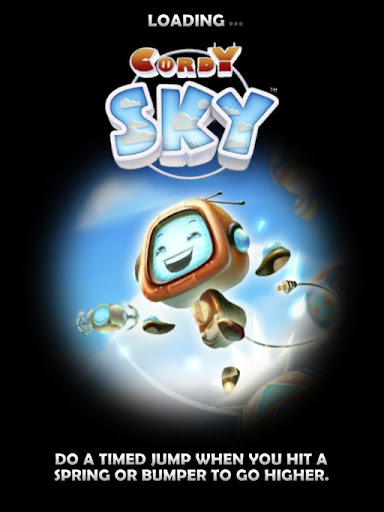 Cordy Sky has better graphic than the other similar games which I said above. It has beautiful environment as the background. 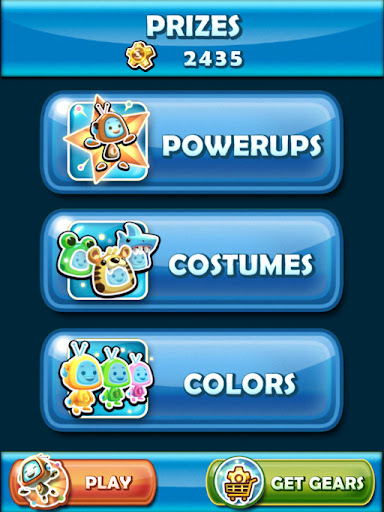 There are some utilities too like costumes, colors, and power ups. 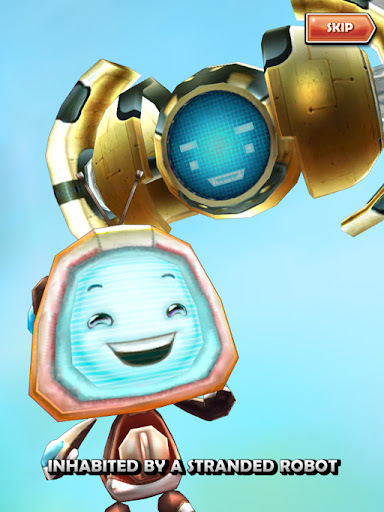 Collect gears as many as u can for buying the utilities. 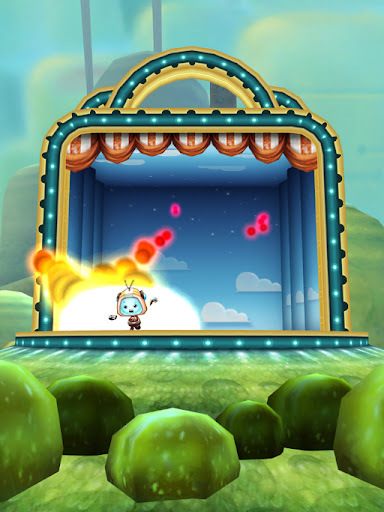 Like another freemium app, you can get gears too by purchasing in- app purchase. 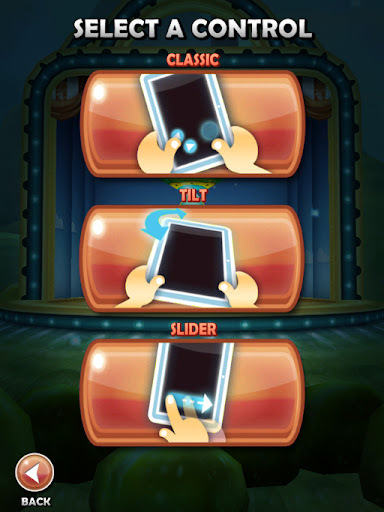 Tap the screen to begin the game, tilt your device, use magnet (in power ups ) to gain more gears. Jump Jump and Jump! Don't fall! Because, I just downloaded this app yesterday, my score has too low... Just 946 M.
When u got enough high score , you have chance to get the prize. 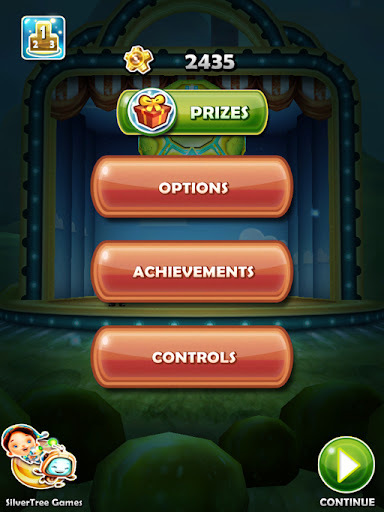 Just click the prize button and you get random prize can gears or utilities. 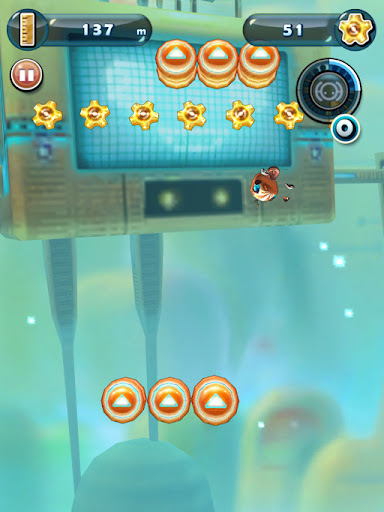 Jump Cordy at the jumping ball, jumping platform, u can fly to using volt token... Use this power ups at emergency situation, it means when u will fall down click the volt token inthe right side. It will boost Cordy to the up. Oh, one more this app integrated with GameCenter too. This is a freemium app, additional cost may added when u purchasing gears. I'll prove my love to you!